The Serengeti is most famous for an incredible natural event that occurs there every year... the Great Migration. Each year when the rains fail, over two million wildebeest, antelope and zebra are forced to undertake a gruelling 500 mile circuit of the region, simply to find enough food and water to survive. My tribe, the Herd, has a rite-of-passage, marking the end of childhood and the beginning of adulthood. 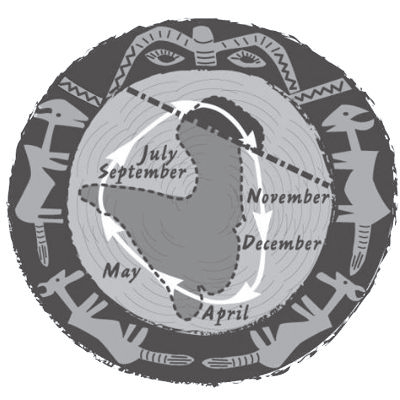 When we reach a certain age, we must set out with the Great Migration for one complete cycle. It’s an extremely demanding ordeal for a young Giraffeses, which we call the Journey. Of course, my Journey has ended up being so much bigger than any that came before. It’s already taken me far beyond the boundaries of the Serengeti and the Great Migration. And it’s still a long way from being over!